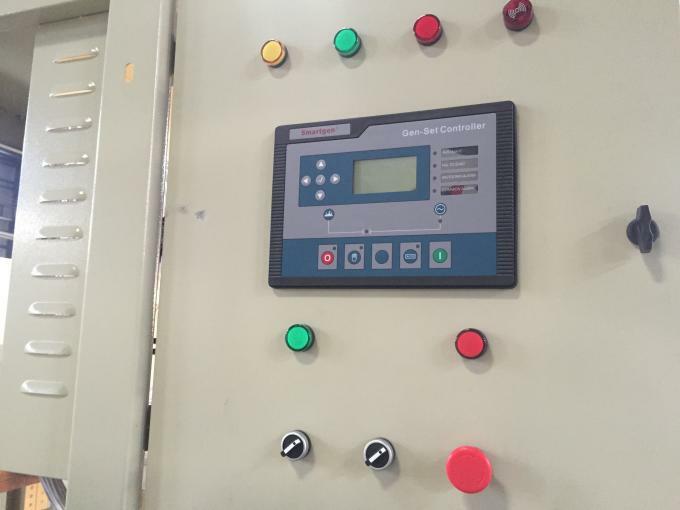 Control cabinet uses structure of steel plate framework. The surface uses powder painting after rust prevention, which has damp proofing and corrosion proof features. There is a heat dissipation window with dustproof steel mesh in the front and back, which have ventilation, heat dissipation and dustproof features. Each control cabinet dimension: 2020×800×800mm (H×W×L). The front and back of each cabinet have two doors, as well upside and under side, which are easy for maintenance. Each cabinet can be dismounted alone, it is easy to install and transport. The synchronous control system is not divided into principal and subordinate gensets, any of them can be synchronous operation or operate alone. It can be operated by synchronous control panel. 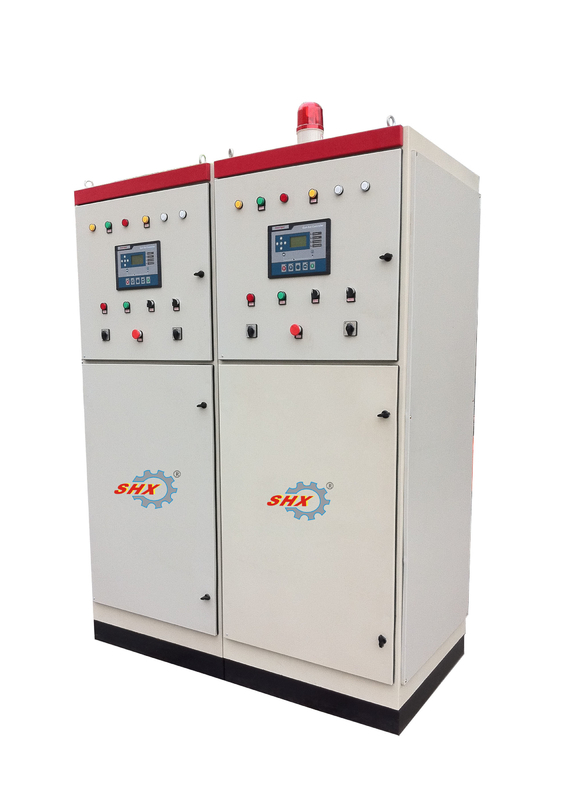 The automatic synchronizing device of this synchronous control system can control the speed of engine, make two gensets automatic synchronization and control the main switch on, the automatic synchronizing device stops after synchronous running successfully. It is safe and reliable operation, the main switch has electrical operation and early energy storing device. After parallel connection of the synchronous system, the distributor can measure effective values of the current and power of each genset, and control speed governing system continuously through a group of synchronous signal wires, in order to distribute the load of each genset averagely. The control panel HGM6510 fully control parallel operation and power distribution function of the full auto synchronous control system, it has various functions, such as auto start, auto synchronization, auto parallel operation, and distribute active power automatically as per ratio, auto genset adding / disconnection and standby, and genset fault display and protection. The parallel control system still can synchronize the grid (4 grid-tied methods), transfer automatically through ATS, full auto power-supply system with auto parallel operation and disconnection of dual power grid. The full auto parallel control system still can collect data and communicate according to requirement of the user.